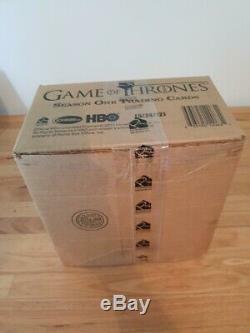 You are looking at a Factory Sealed Case of "GAME OF THRONES: Season 1 " released by Rittenhouse Archives in 2012. 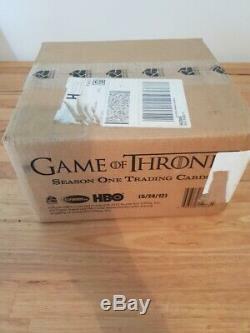 You will receive a full case, containing 12 Factory Sealed boxes. Each box contains 24 packs for a total of 288 packs. 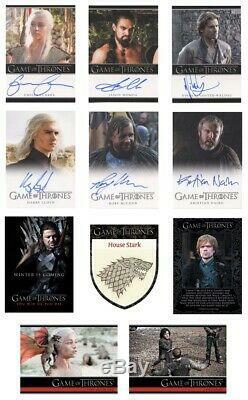 Autograph Inserts 1:12 Packs. Shadowbox Inserts 1:48 Packs. You Win or Die Inserts 1:24 Packs. 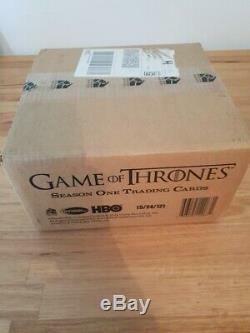 The Houses Inserts 1:12 Packs. Quotable Cards 1:12 Packs. 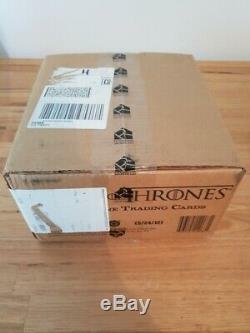 Base Parallel Cards 1:3 Packs. Note - Product images #2 and 3 are reference images only. Case has been kept in a smoke free home. Feel free to contact me with any questions. 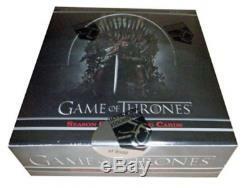 The item "Game of Thrones Season 1 Factory Sealed 12 Box Card Case HBO Clarke Moama Auto" is in sale since Thursday, March 7, 2019. 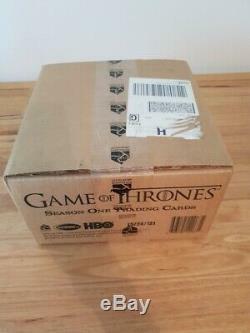 This item is in the category "Collectables\Non-Sport Trading Cards\Game of Thrones Trading Cards\Sealed Trading Cards". The seller is "moesbill" and is located in Brunswick East, Victoria. This item can be shipped to Australia, all countries in Europe, United States, Japan, Canada, Hong Kong, New Zealand.